Hello and welcome to this week’s edition of Players I Can’t Pick Up! In this column, I take a look at some of the most added players of the week and give some reasons why they might not deserve a spot on your roster. I’ll also compare them to a player I’d rather own, whether they are another highly added player or one you might be thinking of dropping. For every player I look at, I’ll provide their Regression Profile, which contains a handful of useful statistics to show you if they are set for positive, negative, or no regression in the future. 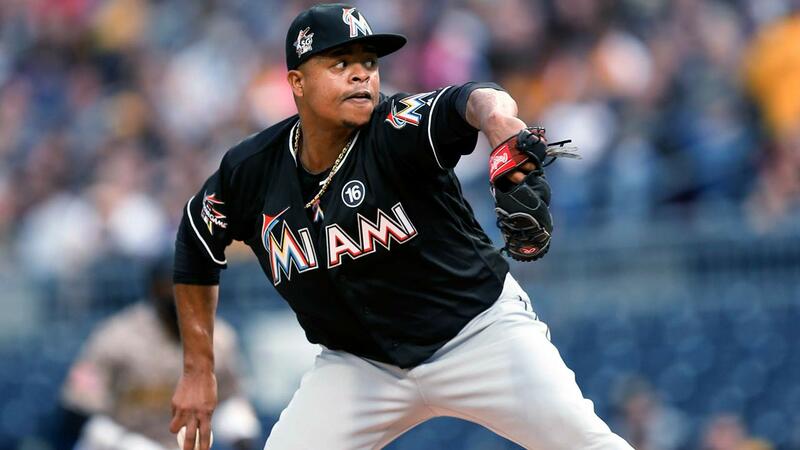 Volquez obviously deserves some major props for pitching the first no-hitter of his career against the Diamondbacks and following it up with a strong performance against a mediocre Pirates team. In fantasy, however, we know not to put too much stock into a couple of outlier performances when looking ahead. Volquez has an unsightly 4.83 BB/9 so far this year even with his two best outings, and that’s not even the worst mark he’s posted in his 10+ year long career. Coming up, he’ll face an unappealing two start week against the Nationals and Cubs where I think he’ll show his true colors again. Playing in the NL East will provide him with plenty of good matchups in the future, but you shouldn’t expect Volquez to have turned a corner after these past two starts. I almost recommended Hoffman last week, but held off based on the fact that his recent outings were against weak offenses in the Padres and Phillies. Now that he’s faced the Cubs and went 6.1 IP with 4 H, 1 ER, 1 BB, and 8 SO, I feel much more comfortable endorsing him here. While regression is incoming and the Coors Field effect is always a concern, his K/BB rate has been spectacular and he holds a 6+ IPS, showing he can go deep enough into games to get a W/QS. He’ll find a spot in the rotation if he can keep this up and is worth owning on your squad. 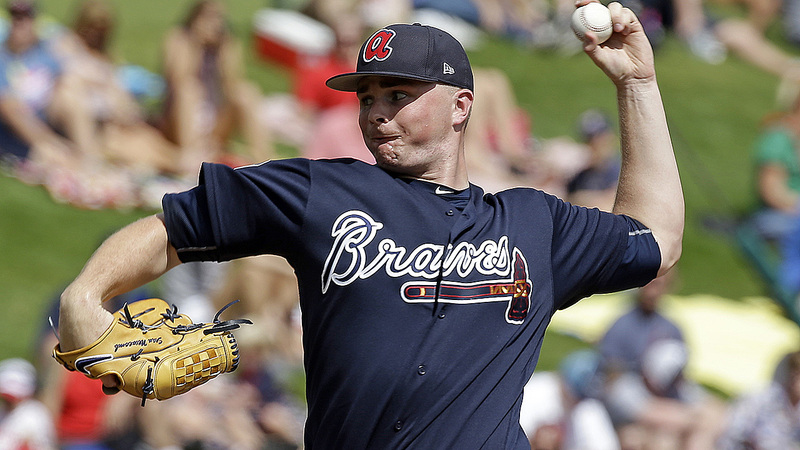 I don’t blame anyone for taking a shot on a young pitching prospect, but there are a few warning signs with Sean Newcomb that you should consider before picking him up. He’s shown an elevated walk rate in the minors that’s higher than you want to see from most prospects and it should rear its ugly head at the major league level soon. He’s also primarily a two-pitch pitcher, which is going to cap his short-term upside until he can develop another pitch. The good news is that he pitches in the NL East and is here to stay, so he should have plenty of favorable matchups going forward. I just wouldn’t hold myself to him if he starts to struggle. At this point in their brief major league careers, I’d prefer Jacob Faria to Newcomb despite pitching in the AL East, the literal and figurative opposite of the NL East. He’s shown better control and strikeout potential in the minors while having a wider pitch selection. And like Newcomb, he’s likely here to stay as Matt Andriese may be on the DL for a long time. It’s still pretty early, but if you want to take a shot on one of these pitchers, I’d look at Faria first. 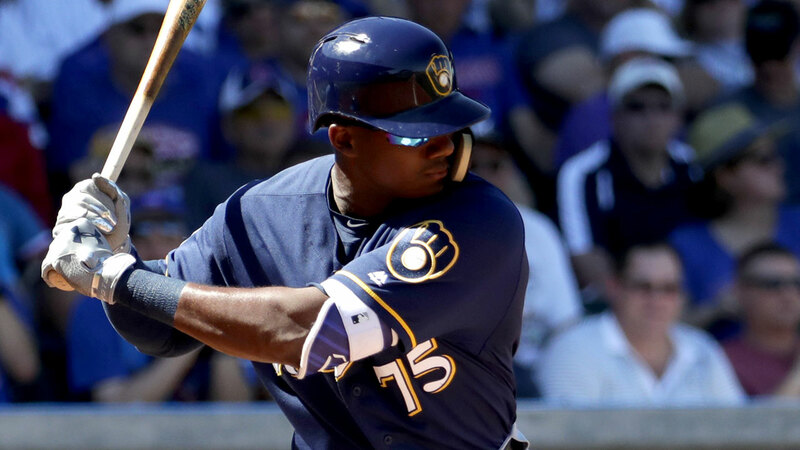 Like with many of the players already highlighted in this column, Lewis Brinson is a top prospect for the Brewers and made his debut this year, so naturally many owners are obligated to pick him up. However, even with the loss of Braun to the DL, Brinson is in an uphill battle for playing time in the outfield between Perez, Santana, and Broxton, so he will have to really perform in order to lock down a consistent role. We’ve been spoiled with major league debuts with the likes of Bellinger and Trea Turner, so don’t necessarily expect Brinson to immediately make the jump to stardom. Be prepared for him to have to make an adjustment to major league pitching before jumping on board. It’s really hard to make snap judgements on batters with a small amount of playing time, but we’re seeing some good things so far from Mallex Smith in his return to the big leagues and he’s more seasoned than Brinson at this point. While I expect the strikeout rate to rise and subsequently bring down his average more than you’d expect from the normal BABIP regression, he should continue walking enough to get on base enough to steal a ton of bases. With Kiermaier missing extended time due to his fractured hip, Mallex will be getting plenty of playing time and should provide a lot of value for those seeking steals. All stats courtesy of fangraphs.com and all images courtesy of mlb.com. ← Who Is J.T. Realmuto?